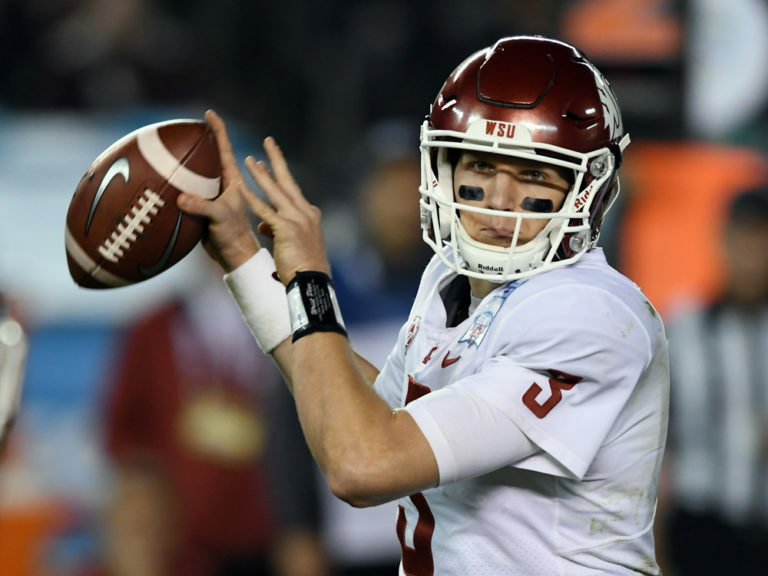 Tyler Hilinski, the Washington State starting quarterback in the 2017 Holiday Bowl, was found dead in his apartment Tuesday from an apparent self-inflicted gunshot wound to the head, police said. Pullman, Wash., police officers found the 21-year-old’s body around 4:30 p.m. Tuesday when they conducted a welfare check after the football player did not show up for practice earlier that day. A suicide note and a rifle were found next to Hilinski’s body, police said. Pullman police and the “Whitman County Coroner’s Office are conducting a thorough investigation” to confirm the cause of the death, police said in a news release. “We are deeply saddened to hear the news of Tyler’s passing. He was an incredible young man and everyone who had the privilege of knowing him was better for it.” Cougar coach Mike Leach said in a statement released by the university. Hilinski, a redshirt sophomore, took over for Luke Falk in the Holiday Bowl after the starting senior quarterback injured his wrist. Hilinski completed 39 of 50 passes for 272 yards, two touchdowns and an interception in his first college start. He played in eight games in the 2017 season, highlighted by the Sept. 9 game where he led the Cougars to a triple-overtime win against Boise State. Hilinski was expected to take over as the starting quarterback for the departing Falk next season. Hilinski’s teammates were informed of his death Tuesday evening and were offered counseling, Johnson said in a statement. Hilinski was a star football player for Upland High in Claremont, Calif., where his family still lives. His younger brother, Ryan, who plays at quarterback at Orange Lutheran High, was offered a spot on the Washington State team for the 2019 season, according to the BBC. “Please keep my family in your prayers tonight,” the younger Hilinski tweeted late Tuesday evening.